Creating custom solutions for your plastic injection moulding production, Geiger Handling can ensure you always receive the best equipment partnered with excellent customer care. 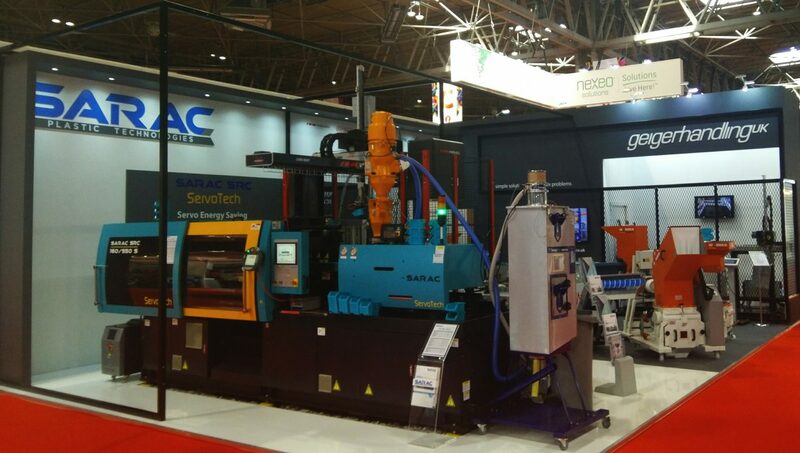 Established in 1998 Geiger Handling has become a leading UK injection moulding machine and ancillary equipment supplier, we have formed partnerships with some of Europe’s leading manufacturers of ancillary equipment for the plastics industry. We’ve built up an enviable team over the years — skilled, experienced people who work together to provide you with the best service & support. With decades of technical experience, we have the expertise to provide innovative solutions to all your production problems. We continuously strive to improve the support we offer, from investing in our large stock of spare parts to staff training. Conveniently located in Stoke-on-Trent, Staffordshire, you can visit us if you’d like to see our demonstration area and experience our products. Or if you’d like to call in to chat with one of our technical engineers to discuss the best equipment for your needs and how we can help your plastics business grow.